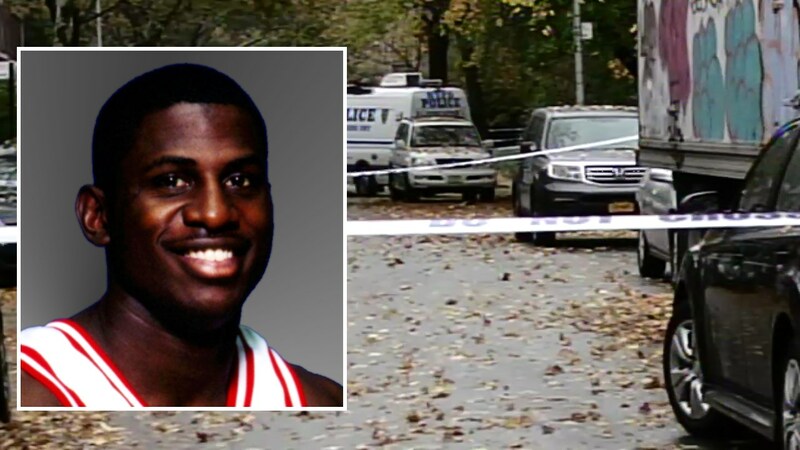 FLATBUSH, Brooklyn (WABC) -- Police have arrested two men in connection with the murder of former New York Knicks draft pick Michael Wright. His body was found nearly a year ago in the trunk of his car in Flatbush, Brooklyn. Wright's body was concealed by a large garbage bag in the rear of the vehicle, and it was determined that he had suffered head trauma. Bergen County police Wednesday announced the arrests of 59-year-old Mark Holdbrooks of Closter and 35-year-old David Victor of Brooklyn. Holdbrooks was Wright's roommate and the one to report him missing. Authorities say Wright was drugged and murdered in his Closter, N.J. home by the two suspects. They loaded the body into his white Lexus, and Victor drove the vehicle to Brooklyn where he abandoned it, according to police. Bail for each suspect was set at $3 million.